The Tabitha collection by Jennifer Taylor Home is the perfect addition to any living space looking to add a bit of a modern or contemporary flair. The fabric selected for the collection features Polyester blends and engineered for long life. Our wood frames and legs are made from kiln dried birch wood which provides exceptional support and stability. 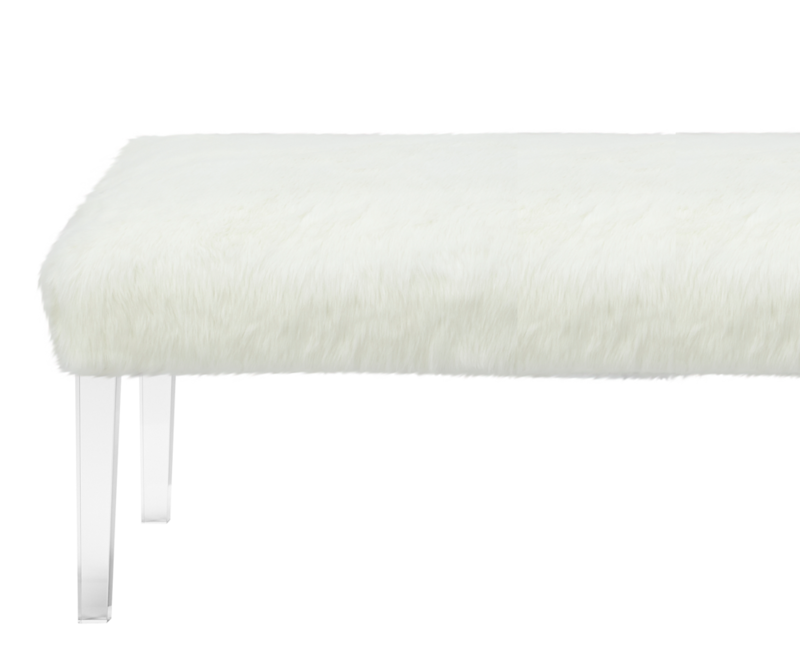 This simple yet elegant design is accented with white faux fur and acrylic legs. The Tabitha is an ideal choice for the bedroom, living room, family room, or the den areas. This accent bench brings class and lounging comfort to any room in the home. We offer a unique versatility in design and make use of a variety of trend inspired color palettes and textures. Our products bring new life to the classic American home. The Tabitha bench is for those looking to add a bit of a modern or contemporary flair. 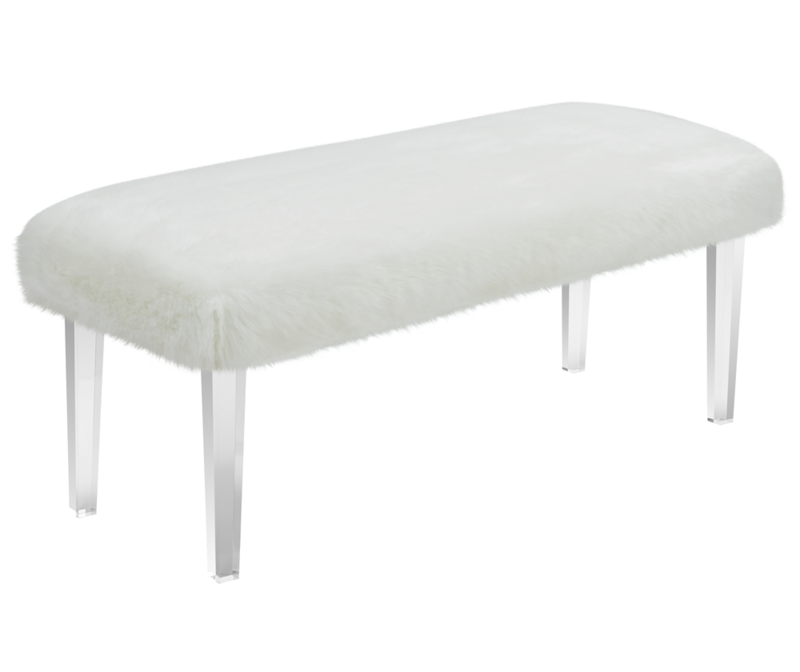 This simple yet elegant design is accented with white faux fur and acrylic legs. Bring a touch of glam to your home with this faux fur bench. Love love love this bench! It went in a teen's room I did at the end of her bed. It's the perfect amount of sophisticated while still having a little teen flare we were going for. Can't beat the price or the quality - highly recommend - you wont be disappointed! Purchased this for my master bath, but it seemed smaller than expected and definitely not as luxurious as I had hoped for. I moved it to my 4 year old daugters room and its perfect there. She loves it and uses it to display her friends. Beautiful, elegant, and so soft. Easy to put together. Just remember the legs are INSIDE the underneath of the bench. I spent ten minutes thinking they'd forgotten to include them! I love this faux fur bench! Well made and sturdy, as well as gorgeous!